We have premium quality eyeglass lens options that can fit your lifestyle and your specific vision needs. With our wide selection of eyeglass lenses and available treatments we can create the perfect glasses for your vision needs and lifestyle. We have Progressives, Specialty Lens Options, Thinner & Lighter Lenses, Impact Resistant & Sport Lenses, and Polarized / Transitions Lenses. 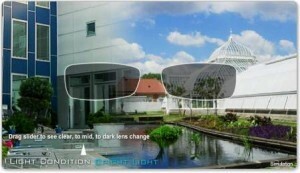 Call us to make an apppointment or to learn more about the our lens options.